Growing up with parents in the human medical field, caring for others, and in this case animals, was in my blood. The ability to do so as a profession is both an honor and a pleasure. My philosophy is to treat the patient as a whole, not just focusing on a disease. Our pets’ quality of life is of the utmost importance and my goal is to improve this to the fullest. I have a sweet, but wild crew: Tess, my 11 year old lab, still thinks she’s a puppy. Teagan, my mini aussie, is a fire ball who thinks that the world was made to serve and entertain her. Jack, my sweet old boy, is about the most forgiving kitty unless he comes in to the office. These three add immeasurable joy and color to my life. My horses and pony: Trouble, Cherub, & Brilliante are the loves of my life. They are all in their mid to late twenties so I’ve had them since childhood. They taught me strength, compassion, and humility. These are the reason that I became a veterinarian. The bond that you form with your pets is truly one of unconditional love that will last long after they leave us. I was born in Ormond Beach and raised throughout Central Florida. I attended the University of Florida for both undergraduate and veterinary studies. After graduating veterinary school, I married my best friend and the love of my life, then moved to Houston to follow his career. There, we had two adorable, brilliant, and wild little boys. My four and two legged children are the epitome of energy and joy, and remind me of why I love my profession every day. 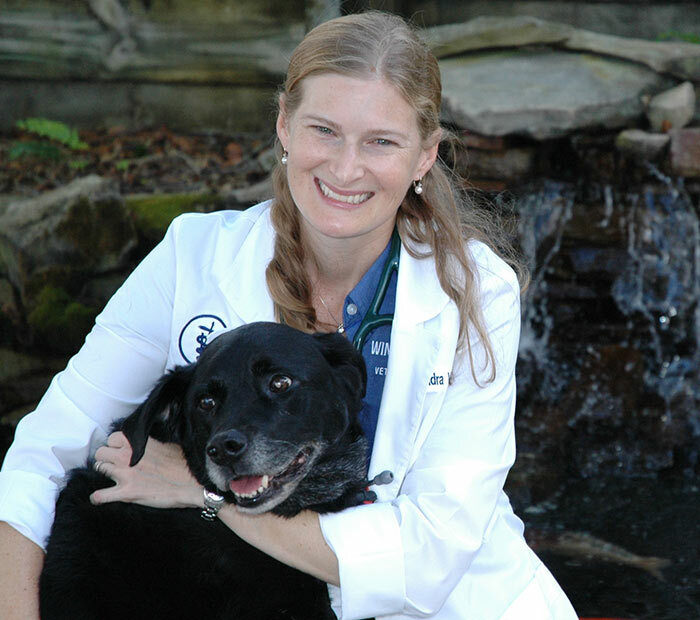 My primary interests include diagnostic imaging, geriatric care, pin management, and soft tissue surgery, but my true joy is the variety of care that we are able to provide as veterinary professionals. Therefore, nothing is excluded. It is truly my honor to be back in Central Florida, caring for our pets and their families.